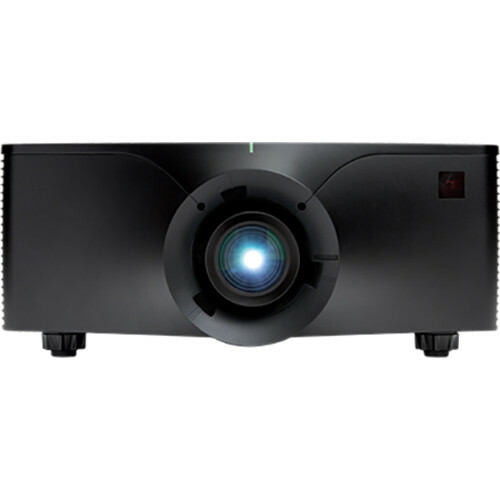 The black DHD700-GS 1DLP HD Laser Phosphor Projector from Christie features laser phosphor illumination, which eliminates the need for lamp and filter replacements and provides up to 20,000 hours of Illumination life. 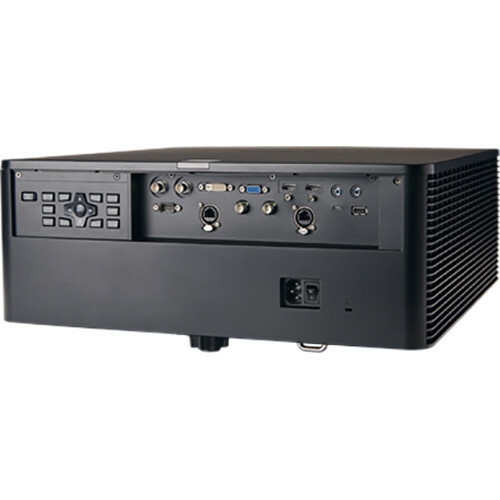 It offers a maximum resolution of 1920 x 1080 with a brightness level of 5900 ANSI lumens. 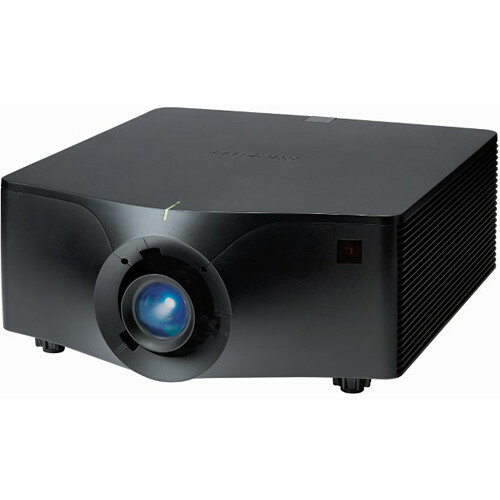 In addition, the projector is suitable for use in boardrooms, higher education, houses of worship, and smaller location-based entertainment venues. Box Dimensions (LxWxH) 29.0 x 23.5 x 14.0"